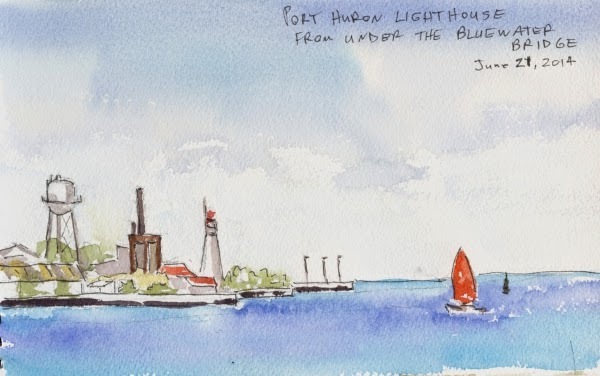 In the last three weeks Debbie and I have co-hosted a meet of about two dozen watercolour artists and some of their spouses from as far away as England and Australia and I have curated an exhibit of 53 paintings by fourteen artists at the Dundas Museum and Archives. I have had little time to paint and even less time to post. Both were huge successes so I can relax and get down to some serious painting now. Once I find the leak in the pool that is. This first painting is of Paletta Mansion in Burlington Ontario. It has a huge porch on the front with a cupola on top of it. The house is stone but the trim and cupola are a warm tan colour that glowed in the warm sun. I was pressed for time and rushed the windows and trees at the end. This second painting was painted yesterday at Sherman Falls. We had about twenty Monday Painters out. I think that just maybe the group show has inspired everyone. I am pleased with this painting. A small group of the watercolour painters went out to paint the town of Dundas. 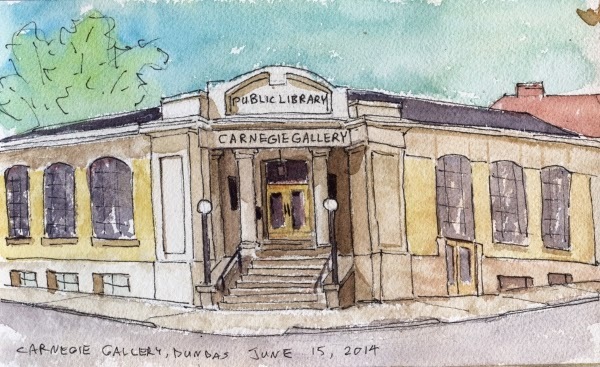 We sat in the hot sun across from the Carnegie Gallery and sketched. This is my journal sketch. This last sketch was done on Saturday. We went to Sarnia to visit friends who gave us the grand tour. We needed a break so I sat and sketched under the Bluewater Bridge. It is unbelievable how turquoise the water in the St Clair River is. About fifteen years ago a group of eager students in Catherine Gibbon's outdoor landscape class at the Dundas Valley School of art decided to get together once a week, outside of class, to paint. The group is very informal (a mailing list ) with one member sending out an email each week to let everyone know where we are painting. We paint outdoors all year and I have been painting with them for a couple of years now. I am excited to say that fourteen of us are having a group show, in which I will have four paintings. 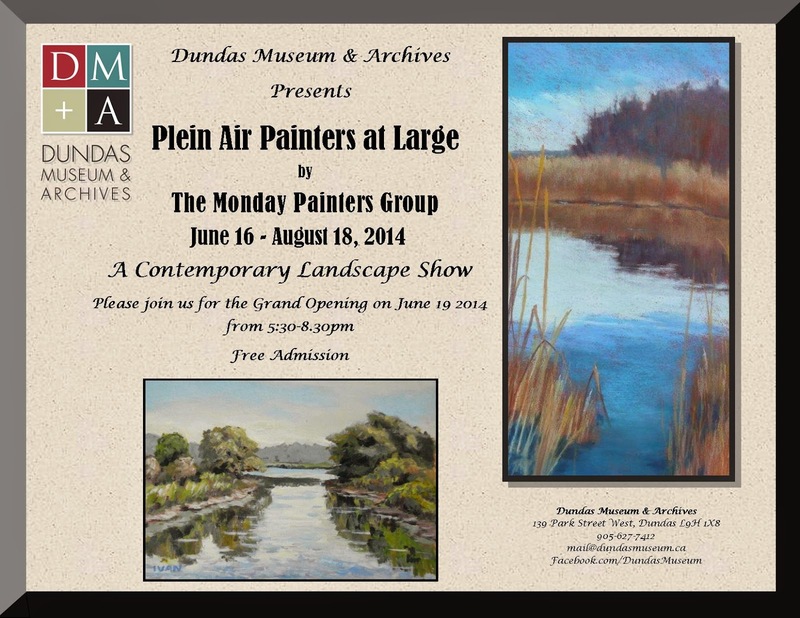 It is titled "Plein Air Painters at Large" and will be hanging at the Dundas Museum and Archives from June 16th until August 18th with the artist reception on June 19th from 5:30 pm until 8:30 pm. It will be a good selection of contemporary landscapes by local artists and everyone reading this is invited to come join us.